Fun things to do in Autumn. With summer coming to a close and autumn swiftly creeping upon us, I thought now would be the perfect time to talk about some of the events that are going to be held in the local area. Portsmouth is a seaside city and this leaves most people forgetting that there are a lot more things to do and see apart from grabbing an ice cream at the pier and basking in the sun. Halloween is fast approaching and Portsmouth has a lot of exciting and different things happening in and around the city centre. If you find yourself stuck for ideas on a weekend then why not make the effort to travel a little outside of Portsmouth (only a half an hour drive) and visit the local apple picking farm. Having been around since the 1950’s, Hill Farm Orchards is the perfect place to pick apples, have it be for fun Halloween games or for a quick bite to eat. Portsmouth is also home to the infamous ‘Ghost Walks’ hosted by Dark Encounters. But this is not for the faint-hearted! Costumed historical characters will take you for a wander through the cities ancient streets, shocking you with some horrifying and gruesome facts on the city’s most famous tales. If a ghost walk doesn’t take your fancy then join the rest of the city as they watch Portsmouth’s 22nd Halloween Parade on the 31st October at 7pm, starting at Pierce Island. You won’t be disappointed with the costumes, music, dances that happen on this particular night. They also invite you to join in with the fun as everyone is welcomed to dress up! If you can’t make the parade then not to worry as a ‘Pumpkin Smash’ will be held on the following weekend (October 24th) at the Portsmouth Farmers Market between 8am – 2pm. Simply go along smash a pumpkin and win a prize! Good fun for all ages. Hopefully these ideas have helped you come unstuck for things to do around the autumn period and also make your Halloween weekend that little more interesting. It is my first week back home for summer and I can already say I am missing Uni. This year has gone so quickly and surprisingly a lot quicker than first year. Although second year comes with a lot more work than first it was still a lot of fun! Moving into a new house was exciting especially with 7 other people, it was like halls all over again but a tad quieter. My course got a lot more interesting as I was allowed to pick 3 units that I wanted to take on for a whole year and was not limited to just compulsory ones. Although I feel I could have done a little better than expected I still surprised myself with some of the marks I received. The social aspect of Second year was still at a high yet I was more strict with myself when it came to important deadlines and of course exam season. I had two exams and hopefully they were the last exams I will ever sit! Since I have finished Second year all I can say is that my time has been filled with friends, food and a lot of alcohol. Although I am missing being in the action of Uni I am very much content with being at home. I am in the comfort of my family and most importantly a CLEAN house with lots of food that I haven’t bought! Summer holds a few exciting things for me including a months work experience at a Publishing company in London, a weekend away in Dublin and Edinburgh and Bestival with a few close friends in September. Although sad to be moving on to my last year at University I can thankfully say that this year/term has been a good one. I have grown closer to friends (3 of them who I will be living with next year) and met so many new people. I have explored Portsmouth a lot more by making use of the beach which is just round the corner of my home to eating at so many unique cafe’s and restaurants that Portsmouth has to offer. Over the past few weeks I have been drowning in essays and hiding away in my room anxiously trying to finish every last one. Luckily I only have two more pieces to finish before the end of term! Despite the workload I have been exploring the theatres of Portsmouth. I do like to go out and go clubbing but after a while this can start to get a little repetitive. So instead I decided that going to the theatre could be a great alternative. Back in October I went to see The Great Gatsby at the New Theatre Royal which is situated in the heart of Portsmouth down Guildhall Walk. The outside doesn’t look too appealing as it sits alongside a local Sainsbury’s and student clubs but this is very much deceiving. The interior of the theatre contrasted very much with the exterior having recently been revamped over summer. I have to say it was pretty impressive with its elegant decorative walls and tiers of ongoing seats. I went with three other course mates as we are going to be studying the book next year. I am not really a fan of the book but the theatre production completely changed my mind on the story as a whole and I actually really enjoyed it. The ticket was also only £12! The production was really well done and it was very humorous in parts with only seven actors playing all of the characters. A few weeks ago I went to see Legally Blonde at the Kings Theatre on Albert Road. I have already seen this production at a theatre in London and it was really good so I persuaded a few friends to come along to this one and it was only £10 – love being a student! We got a few drinks before the show started and we had seats very close to the front, it was great. The show was very lively and obviously very pink. The first thing that springs to mind when you think of Uni is money. The repeated question ‘How will I survive?’ will haunt you and you may think that you won’t be able to have fun on a budget, but this is completely wrong. There are so many things to do in Portsmouth in your spare time which won’t make your bank account look worse for wear. Firstly, the museums! This may sound boring but Portsmouth is a city filled with history starting with Charles Dickens birthplace where you can take a wander around his bedroom and be in awe over his collection of memorabilia. There’s Southsea Castle and the Portsmouth Museum which let you have an insight on what life used to be like in the City and why it is a great place to live. These museums are student friendly with low prices or free admission. 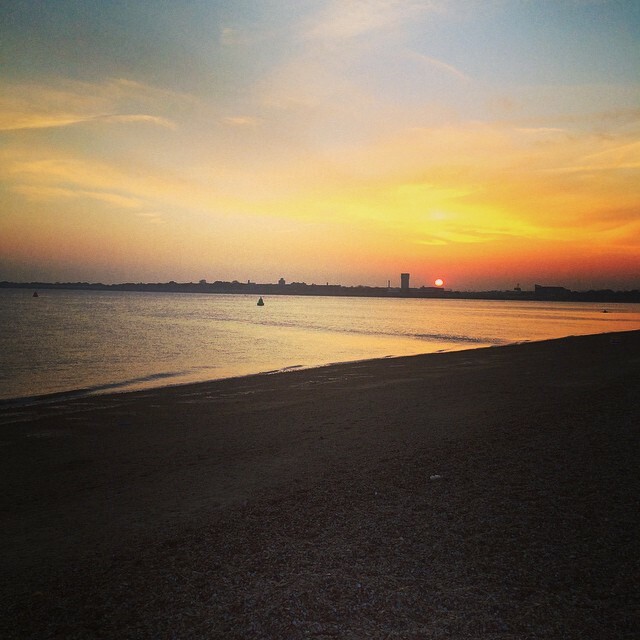 Portsmouth is known as ‘The Great Waterfront City’ and it sure does stand up to its name. The beach is a fantastic place to go and get lost in your own world. A place to escape, relax, read, write, eat, the list is endless. Gather a group of friends together and you are guaranteed a good time on a budget. The beach is a beautiful part of the city where you can capture the perfect Instagram photo, whether that be of the sunrise, the light bouncing off the waves on a sunny day or catching the last glimpse of light at sunset. If you are wanting a night out that doesn’t involve snakebite and hundreds of students falling into you,then take a wander down Albert Road. There is such a variety of things to do such as having a drink in one of the many pubs, going for cocktails at a bar, dancing your way into a silent disco, seeing a live band at the WedgeWood Rooms or simply eating out. 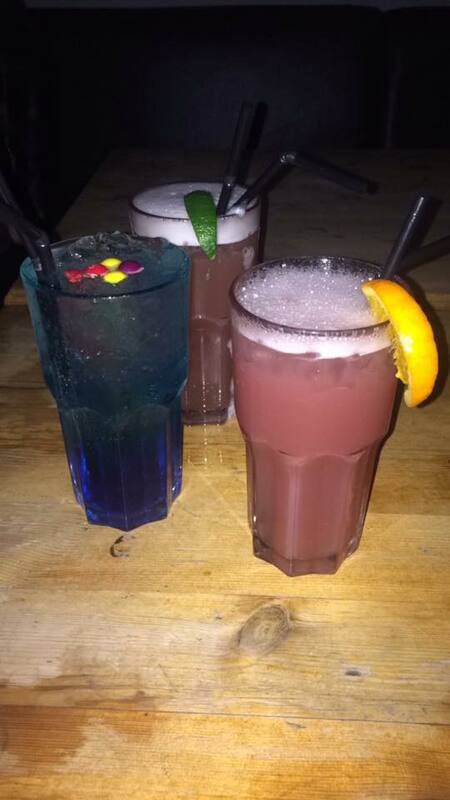 Many of the pubs and bars have student nights running during the week, serving you your favourite drinks at affordable prices. There are so many hidden gems down Albert Road which will definitely fill your day or night with endless memories and laughs. 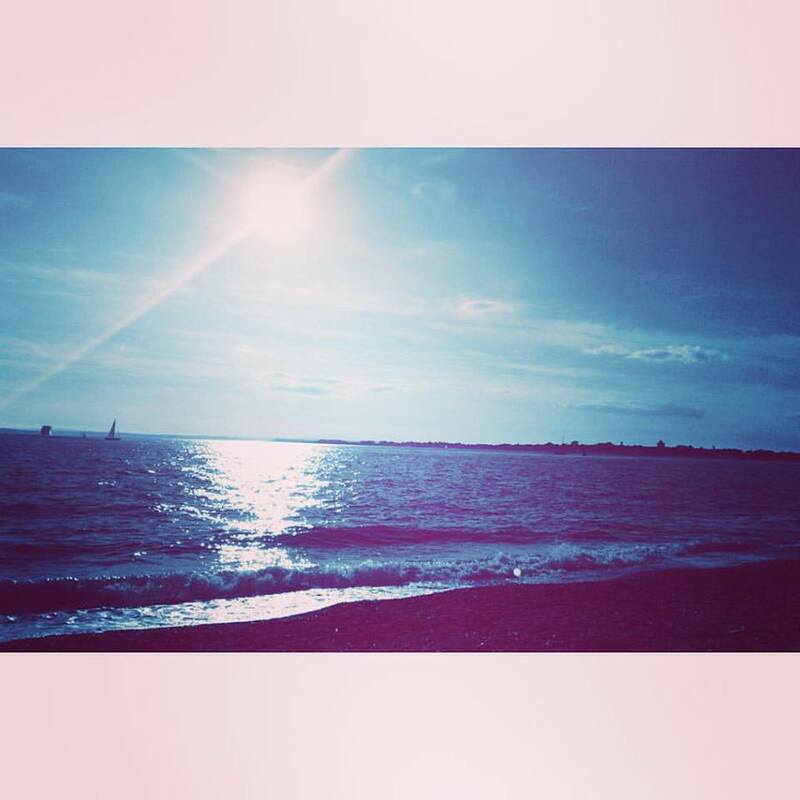 Moving to Portsmouth was such an exciting experience for me and I am so glad I did it. Having already been here a year, I cannot wait for the next two, discovering new places and hidden gems that are yet to be found (of course on a budget).